We’re doing it. 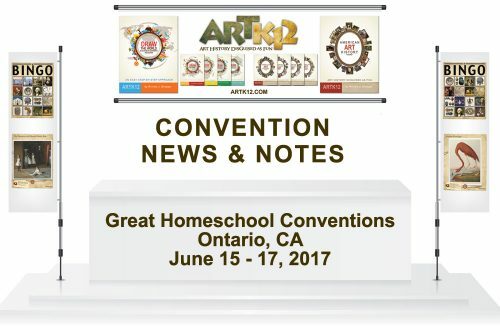 ARTK12 is spreading its wings. We’re leaving the nest. We’re blasting off. We’re going to a homeschool convention. This will be our first one and we’re excited. The booth is going to be manned by Miss Lucy and The Husband. Miss Lucy has been teaching ARTK12 curriculum for a number of years now and any of you that want to talk homeschooling with Miss Lucy will be in for a………don’t use cliches! You’ll enjoy talking with her and she has an enormous amount of enthusiasm for homeschooling, learning and ARTK12 curriculum. My preparation will be thorough and complete. Try to keep your questions simple and direct and I’ll be okay. If I hear that I’ll answer: “Homeschool Wanderer, we are over here!” It’ll work. Trust me. So come on down, folks! We’ll be selling books and sets of books at discount prices (TBD….stay tuned) and answering any questions you have about ARTK12.